Microsoft had completed its acquisition from Nokia earlier this year but they were still taking the ‘Nokia’ tag name along. Earlier this month, Microsoft Mobile Oy had announced the Lumia 535 which is actually the first Lumia to come under the Microsoft Mobile brand name. Now given being Microsoft having both hardware and software, when it says “Mobile first, Cloud first ecosystem we can actually relate to that now. The affordable Lumia series especially that under the 10k price segment has been well accepted by the Indian smartphone market. Lumia 520, and the Lumia 530 were a tremendous success according to Nokia err, Microsoft Mobile and Lumia 730 the selfie smartphone is too going pretty well. Today, Microsoft Mobile have announced the Lumia 535 in India which is expected to rule the Windows Phone market in the budget segment. Priced at ₹9,199 which is not actually budget considering other players have launched better handsets at the same competitive pricing. 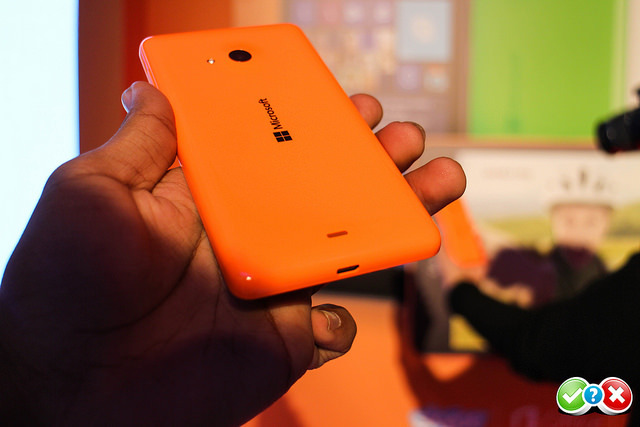 The Microsoft Lumia 535 packs a Snapdragon 200 processor chipset which has a Quad-Core processor and 1GB RAM. It comes with 8GB on-board storage but it supports external storage up to 128GB. It has a 5-inch qHD IPS display with a resolution of 540×960 pixels resolution which is protected by Corning Gorilla Glass 3. It probably is the first smartphone to feature both 5MP front-facing and 5MP rear camera. All Lumia 535 owners on Vodafone subscriptions will get to enjoy 500 MB data internet pack per month, free of cost for 2 months. The offer is applicable for subscribers currently not active on internet packs. Subscribers can use internet on 3G / 2G / EDGE as per availability. 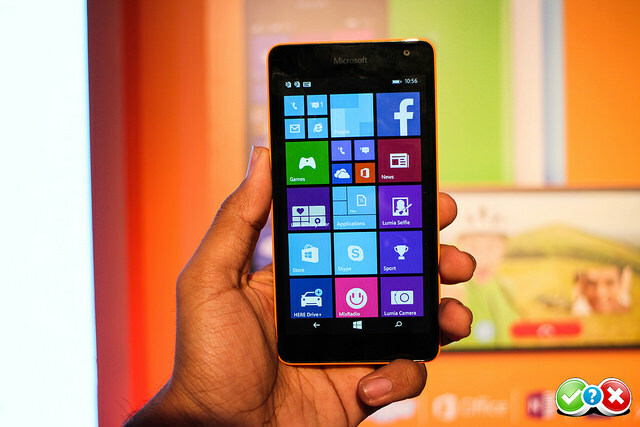 Online shoppers can use the Windows Phone Jabong app on their Lumia 535 and get a total of Rs. 6000 off on their purchase over a period of 3 months. Paytm, India’s largest mobile payments service will offer ₹600 worth of extra charge on any recharge, ₹150 pm over 4 months. Microsoft also announced two special packages for new consumers across all Lumia smartphones. All Lumia devices running Windows Phone 8 onwards will be available with the option of an additional cloud storage of 1TB on OneDrive for Business at a price of Rs. 799 for an year. Additionally, the Office 365 Business Premium package will be available to all new Lumia buyers at an unbeatable price of Rs. 2499 per year. Lumia buyers opting for this package will get one licence, to be used on a total of 15 devices which can be 5 PCs (Windows / MAC), 5 Tablets (Windows / iPads) and 5 Smartphones (Windows / iOS / Android). These promotional offers shall only persist till the end of this year that is 31 Dec 2014. 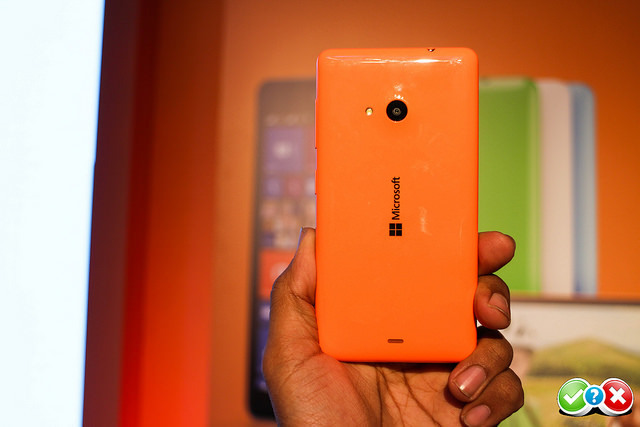 Lumia 535 will be available from November 28. Next articleCyanogen Inc. Launches Themes Design Challenge!